The so-called Islamic State will not stop until it has “exterminated” all other religious groups, according to a former Islamic extremist now working in counter-terrorism. 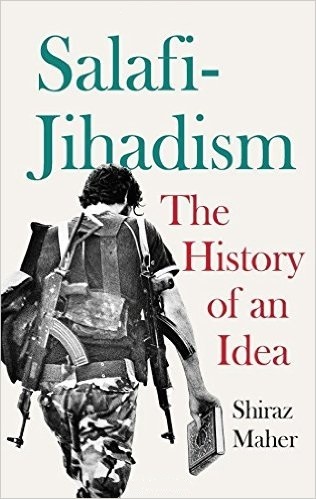 “They’re on a mission – a programme of extermination – to wipe out everyone else,” said Shiraz Maher, a former member of Islamist group Hizbut Tahrir, speaking this week in London as he promoted his book, “Salafi-Jihadism: The History of an Idea”. Maher said wiping out Christians, in particular, is a “very important part” of IS’s ideology. He said that although they were “religious amateurs” with “weak theology”, their claim to have restored the Caliphate – by appointing Abu Bakr al-Baghdadi as “God’s representative on earth” – has given them a strong position, which leaves other Muslims with a choice: reject that claim or to “do whatever he says”. 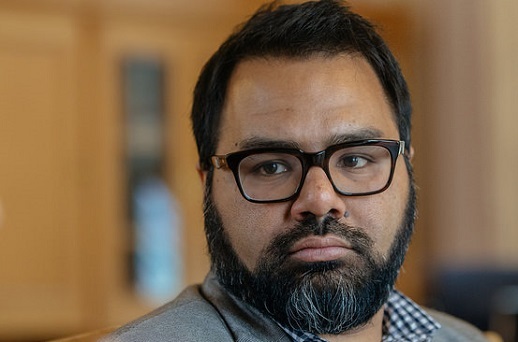 Born in Britain, Shiraz Maher became a member of the Islamist group Hizbut Tahrir after 9/11, saying it had “activated” anti-American ideas picked up during several years in Saudi Arabia. He left the group after the 7/7 London bombings, and criticised its ideology, claiming it led to terrorism. He now works as a senior research fellow at the International Centre for the Study of Radicalisation at King’s College London. However, Maher, a senior research fellow at the International Centre for the Study of Radicalisation at King’s College London, said IS’s ideology did “not necessarily need to resound” with all of its followers – only the leadership. He said this was one of the group’s greatest strengths – its ability to attract people without developing more than a “tokenistic” theology. Maher said he thinks Mosul will be held “for some time yet”, saying that “for the past year Iraq’s army has been saying they’ll recapture it in three months’ time”. He said he thought the same was true of Raqqa – IS’s de facto capital – because to lose either of these bases would constitute an “existential threat”, whereas other territory is expendable. World Watch Monitor has reported on the anguish of the Christians displaced from Mosul more than two years ago. On 6-7 August, prayer services were held in Internally Displaced People camps across the country to mark the “Black Day” in 2014 when IS took the towns surrounding the northern Iraqi city, such as Qaraqosh. Maher explained that Salafi-jihadists like IS are desperate to return to what they view as the “golden era” of Islam, when Muhammad and the two generations after him provided an “authentic” example of what it is to be a Muslim. He said that while they believe it is impossible to attain to the “level” of Muhammad, it is possible to emulate the “pious predecessors”. 1. Jihad – It is necessary to engage in combat to truly partake in “jihad” (holy war). 2. Excommunication – It is possible to “excommunicate” other Muslims by engaging in “takfir” – accusing another Muslim of being impure. 3. Loyalty – Muslims owe a special loyalty to other Muslims and, by virtue of this, a disloyalty to others and a disavowal of their beliefs. 4. Monotheism – While all Muslims are monotheists, Maher said there is some disagreement as to how to “demonstrate belief in this concept”. For Salafi-jihadists, he said “you can’t be a true monotheists unless you fight jihad”. 5. An Islamic State – The ideal is to create a state governed by Muslims in accordance with Sharia. Maher said that all Muslims would be able to identify to various degrees with these concepts, but that their interpretation of how to “realise their monotheism” (be the best Muslim they can be) will be different. He said that even among “Salafis” – those desperate to attain to the level of the “pious predecessors” – there are many “quietists”, who “aren’t concerned with changing the world” and whose expression of monotheism will be played out on a purely personal level, such as ensuring their beard is the “correct” length. These Salafis, he said, spend their time “trying to better themselves or to resolve esoteric debates … and place a huge emphasis on social stability”. Maher contrasted IS with Al-Qaeda, which he said has changed its tactics to a “more pragmatic” approach aimed at gaining public support. He gave the example of Al-Qaeda’s recent suspension of Islamic punishments in the areas it governs in Syria’s north-western Idlib province, and contrasted this with the continued brash brutality of IS. Al-Qaeda, Maher said, are able to justify their relative leniency by citing, in line with Islamic doctrine, that punishments can be suspended “in times of calamity”. He said that Al-Qaeda produced “hundreds of pages of booklets to explain or justify its actions”, whereas IS will just boast about its actions with a short video or one-paragraph press release. Maher warned that the “genuine public support” that exists for these groups in some places will make them “much more intractable in the long run”.